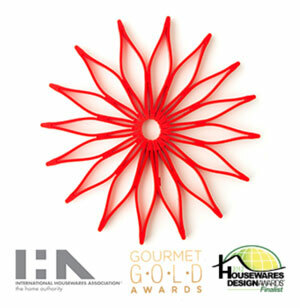 Blossom Silicone Trivet is a flower-shaped kitchen gadget with many fun and creative uses. Heat-resistant silicone makes the perfect trivet, hot pad, or coaster. Non-skid to protect tabletops and other surfaces from scratches; makes a great decorative accent on the table, under casseroles, candles, and more. Nest multiple Blossoms together for easy, compact storage. Easy to clean: wash in warm, soapy water. Size: Approximately 8-1/2"D x 3/8"H.